The Baltimore Office of Promotion & The Arts announces the finalists for the eighth annual Janet & Walter Sondheim Artscape Prize. The finalists are Gabriela Bulisova, Larry Cook, Caitlin Cunningham, Nate Larson, Louie Palu and Dan Steinhilber. The competition awards a $25,000 fellowship to assist in furthering the career of a visual artist or visual artist collaborators living and working in the Greater Baltimore region. 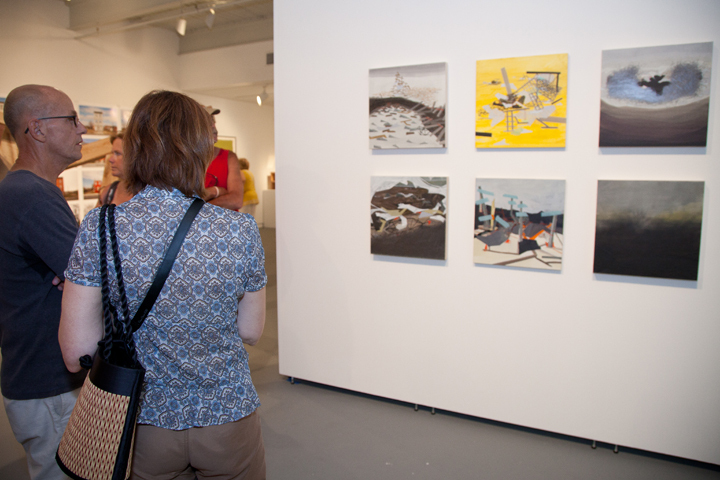 The Janet & Walter Sondheim Artscape Prize is held in conjunction with the annual Artscape juried exhibition and produced by the Baltimore Office of Promotion & The Arts in partnership with the Walters Art Museum and the Maryland Institute College of Art (MICA). The competition winner is announced during an award ceremony and reception on Saturday, July 13, 2013 at 7pm at the Walters Art Museum, located at 600 North Charles Street. Learn more about the finalists.